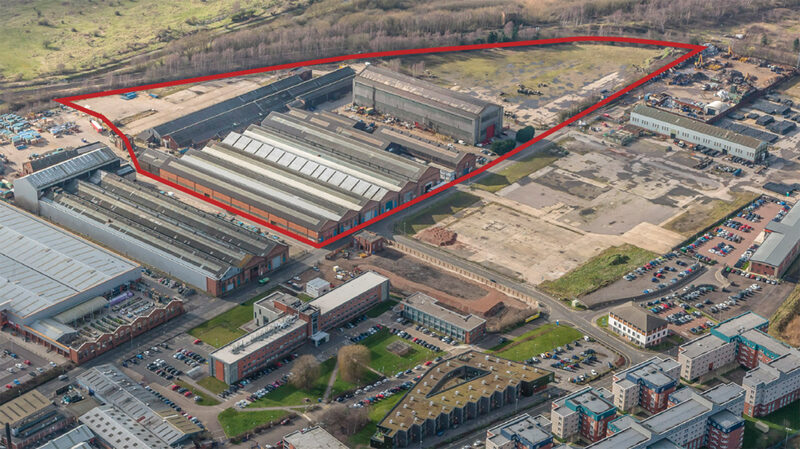 The market has been officially opened to prospective investors of a 19.5 acre site in the south west industrial quarter of Lincoln. The City View scheme, which includes land off Beevor Street, west of the Tritton Road roundabout, has been unveiled by estate agents Pygott & Crone at MIPIM in Cannes, where ‘Team Lincolnshire’ are showcasing 700 acres of land. The 19.5 acre City View development site is now open to investors. City View has outline planning permission granted, suitable for a variety of schemes – an opportunity which has not been seen in the area for decades. Tim Downing, senior partner at Pygott & Crone, said: “The site provides an incredible possibility for investors looking to move to the East Midlands to capitalise on the booming economy being experienced in the area. “Lincoln has undergone massive redevelopment and, with the University of Lincoln and Siemens continuing to boost the local economy, the development in the city is only continuing. “City View’s location is such that it is in prime proximity to benefit from the city’s fantastic facilities; it is within walking distance of one of the UK’s top 40 universities, St Mark’s retail park as well as being centrally located to the rest of the city’s popular tourist attractions. “It also boasts excellent transport links to neighbouring cities and the local train station, airport and the A46 to the A1. “City View and its various income-providing buildings have the potential to be massively redeveloped, subject to planning permission, giving investors the chance to contribute to the area’s continuing regeneration. “The vendors would consider selling the site as a whole, or in parts, so there is the potential to create something that will contribute to the changing landscape of Lincolnshire. The site and various buildings could be redeveloped subject to planning permission. The vendors would consider selling the site as a whole, or as in parts, and is open to further discussions. The scheme is being advertised as being a £210k per annum income producing site.